PAT PILCHER gets to combine two of his great loves – tech and footy – with Oppo’s latest smartphone offering. Footy fans – and I’m talking about the real deal here, not the the game with the funny egg-shaped ball – can rejoice. 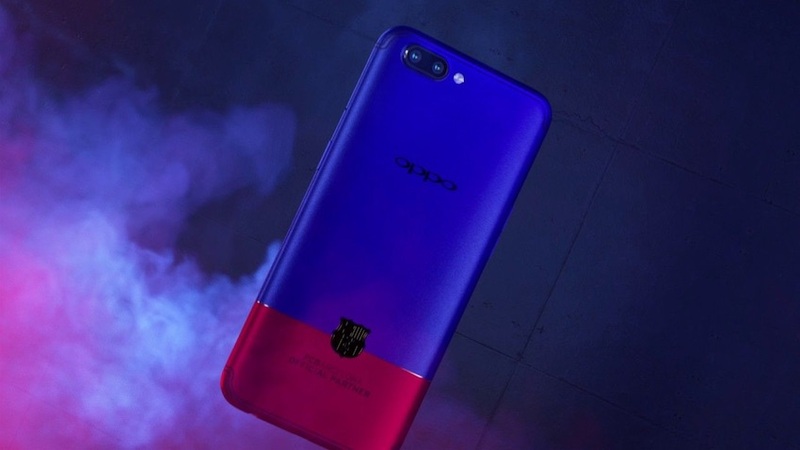 Nothing quite says you are football mad than an Oppo R11 smartphone decked out in the colours of one of the world’s most successful European league teams, Barcelona Football Club. 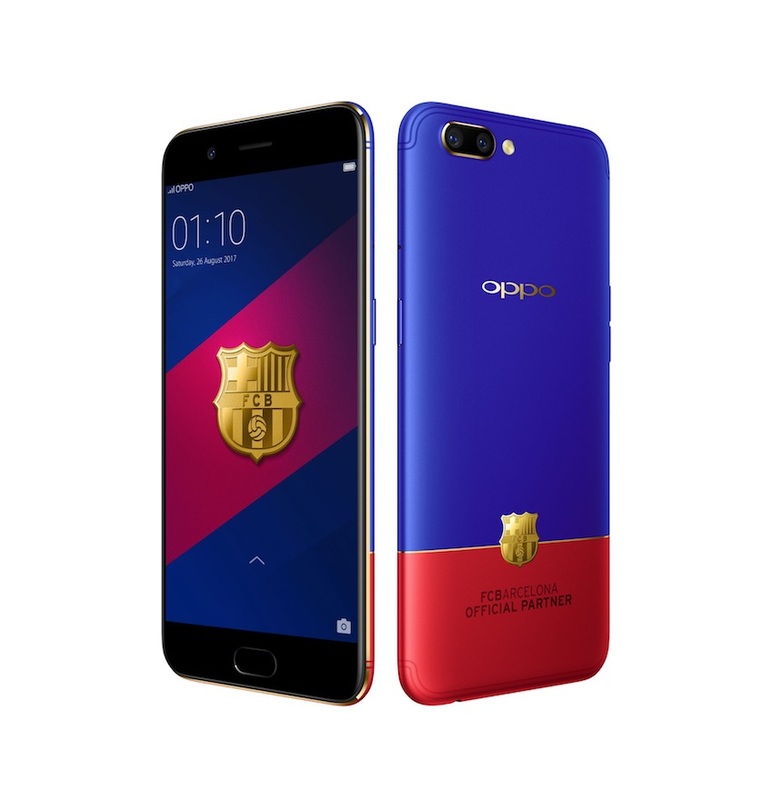 For a Barcelona FC fan, the Oppo R11 Barcelona Football Club edition is the business. It’s a visually striking piece of hardware. Spinning it around reveals the teams iconic red, blue and gold colours, complete with an 18 karat gold-plated Barcelona FC badge. The design is peeper pleasing indeed. It is also a refreshing break from the usual generic gold, silver, black or pink smartphones most of us lug around as our daily drivers. The other appeal is that the Barcelona FC edition is limited edition hardware and there’s only 100 devices available in the New Zealand. 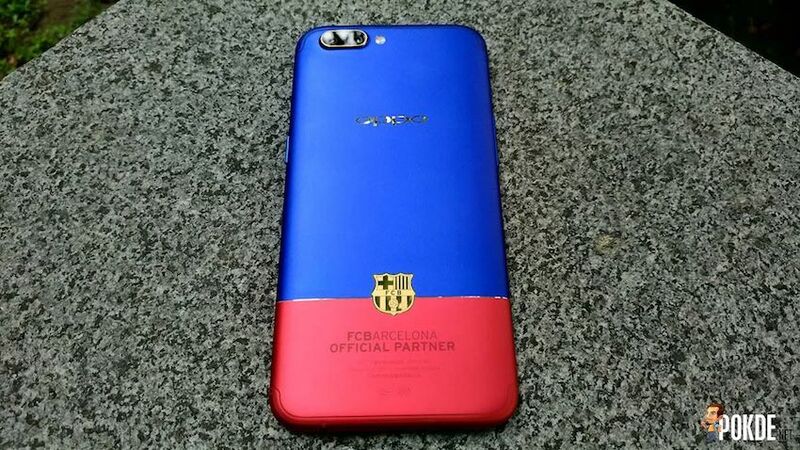 Barcelona FC themed looks aside, the device is essentially Oppo’s highly regarded R11 smartphone. This translates into it feeling very iPhone-like thanks to a curvaceous design with lots of organic rounded edges. Its alloy chassis has a sandblasted finish which gives it an upmarket feel and, at just 6.8mm thick, it is highly pocketable. Its curvy design makes it a bit of a slippery customer – I almost dropped mine several times, so using the included case (major brownie points for this) is a must. The R11’s Barcelona FC design goodness isn’t all there is for footy fans to bask in, with plenty to be pleased about performance-wise. A 20-megapixel front shooter does an excellent job with selfies. It also sports a panorama function, so team photos are never a problem. The twin 16-megapixel cameras on its red and blue rear have 2x zoom functionality and do a solid job of capturing photos. Twin cameras also mean a great looking live-focus Bokeh type effect. As well as decent photography credentials, it also sports one of the fastest charging technologies available thanks to the inclusion of what Oppo call VOOC flash charge (catchy innit!). With VOOC the Barcelona FC edition can hit 75% charge in a mere 30 minutes. The Qualcomm 660 CPU under its hood plus copious OS tweaks aimed at prolonging battery life, mean the Barcelona FC Edition can run for two full days with typical use. In use, its user interface feels very blue, red and gold and has a distinctly Apple-like flavour. While the default UI theme wasn’t my cup of warm beverage, I was able to swap it out easily for another theme using the in-built theme app. It might be an unashamed Apple clone, but in my books that’s a good thing as it marries Apple’s ultra-intuitive user interface with Android’s excellent customisability and ecosystem. Unlike Apple, using Android means I don’t feel as if I’ve been tipped upside down and had the spare change hoovered out of my pockets, because a lot of what costs to use with Apple is often free or cheaper with Android. About the only real catch specs-wise I found with the Barcelona FC edition, is that it lacks NFC. With my phone acting as my Snapper card (which in Wellington lets me pay for buses and cabs) I had to carry a separate Snapper card. Not a biggie, but nonetheless annoying. If you are a European league footy fan, the Barcelona FC edition is a gem. Sparkly footy design plus excellent usability combines with solid battery life and a wallet pleasing $799 sticker price to make it a very desirable device indeed.